We’d received an email a couple of weeks ago about this track by up and coming Melbourne duo Pludo, but there it had remained, sitting there in our inbox read, but feeling somewhat unloved. Now to rectify that situation. The band was founded by Anthony Kupinic, who decided that his time in rock bands was over and a new musical horizon was to be broached. He enlisted the talents of former Sydney street drummer Alex Cooper, they began experimenting with sound and the rest (as they say) is history. 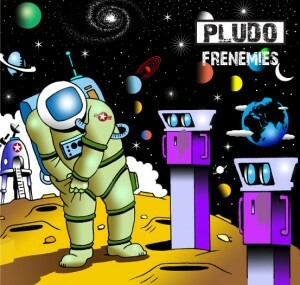 There’s an album called ‘The Only Thing Certain Is The Future’ and the only thing certain at the moment is that ‘Frenemies’ is the first single to be lifted from it. There’s certainly a rockier edge to Anthony’s vocal, but the lush electronica production provides an almost ambient, chilled soundtrack. All in all, it’s a confident debut.